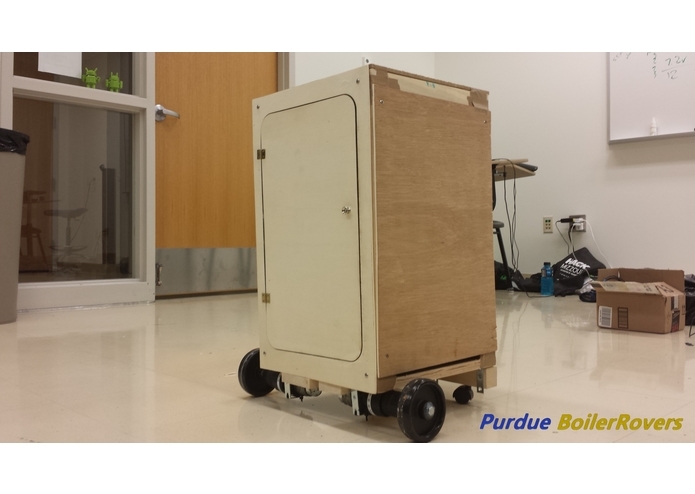 The Purdue BoilerRover was proudly made by a team of Purdue University CS students. Our team's goal was to create an intuitive assistant robot which can be controlled by Android devices, Leap Motion gestures, and virtually any computer. Through comprehensive self-corrective programming, our team was able to build a wireless indoor transportation platform which is ideal for use in hospitals, offices, classrooms, and many other environments. With our use of embedded hardware and mechatronics, we have created a custom open source solution that could change the way we interact with robotics. This platform can be used for moving objects, assisting the physically disabled, and assisting surgeons. Future additions to the BoilerRover may advantageously include the ability for full autonomous sensing and relative positioning. Suffice it to say, with the BoilerRover, you can quickly control a robot at your fingertips!